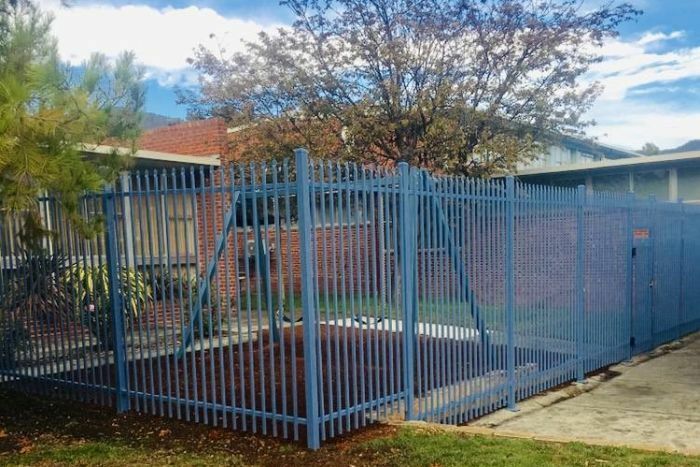 A lockable fenced play area for teenagers with autism at a Hobart high school has been described as a “cage” by the parent of one student, who said it risked “taking away from their humanity”. 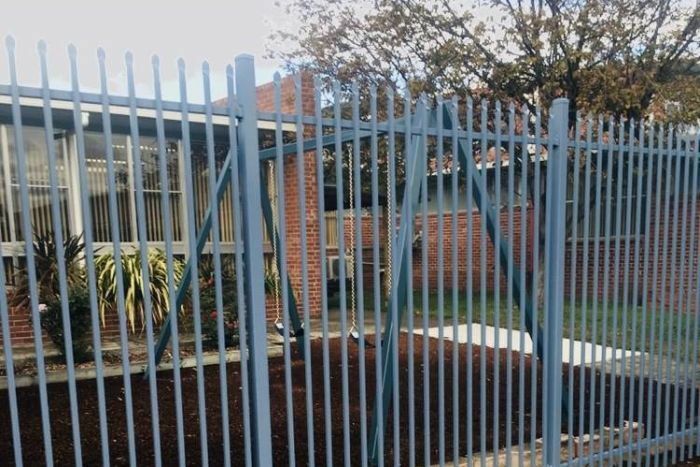 The lockable high fence at the high school in Hobart’s northern suburbs was built for high-needs children with autism about a month ago, the ABC understands. The fenced-off area was designed for several very high-needs students who attend the school to work on individualised learning programs. 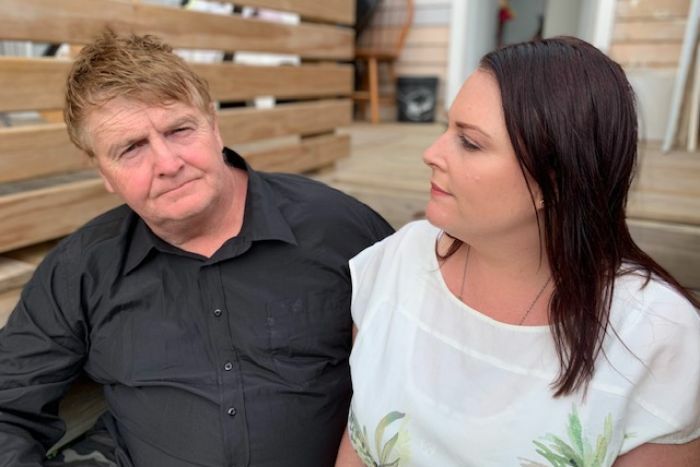 Kristen Desmond, founder of the Tasmanian Disability Education Reform Lobby, called for the Education Minister to investigate, saying her complaints to the department had been in vain. “In this day and age it is not good enough, and I don’t think people looking at those photos would think that is OK, because it is not OK,” she said. Ms Desmond said there were many students with complex needs in the state’s schools, and building a high fence should not be an acceptable solution to the department. “At the end of the day, we have lots of kids with complex needs in our schools,” she said. Two of Julian and Kate Edwards’ children who have autism attend the high school, but were not in the group of higher needs students using the fenced-off outdoor area. “It’s an enclosed area with two locked gates with bars that are extremely high and spiked on the top — it’s a cage, not a compound, it’s a cage,” Mr Edwards said. The Edwards’ said they were speaking out because their complaints to the school had fallen on deaf ears. “It’s a sad look, it’s a bad look, it’s akin to Risdon jail’s freedom areas,” Mr Edwards said. Ms Edwards said there was no toilet and no drinking fountains in the area. “They’re isolating them, they are separating them,” he said. Mr Edwards called for better training and support for teachers at the school. “There has to be other options, you can’t just be putting students in a confined area for safety reasons,” he said. “There has to be other ways of inclusive education. Last year, a mother in northern Tasmania raised concerns about the standard of training for teachers working with children who have disabilities, saying her daughter — who has autism — was traumatised and teased after being placed in an open box in her classroom. A Government spokesman said the Education Department had consulted with parents and medical professionals, “including paediatricians, psychologists and occupational therapists, disability advocates and the students themselves where possible“. He said the fencing was chosen to match the existing fencing of the school, adding that changes to its design would be made. “There has been some feedback in relation to the appearance of the fence and this has been taken on board,” he said.